Bacterial organisms like staphylococci, klebsiella, streptococci, etc., causes pyogenic pneumonia. 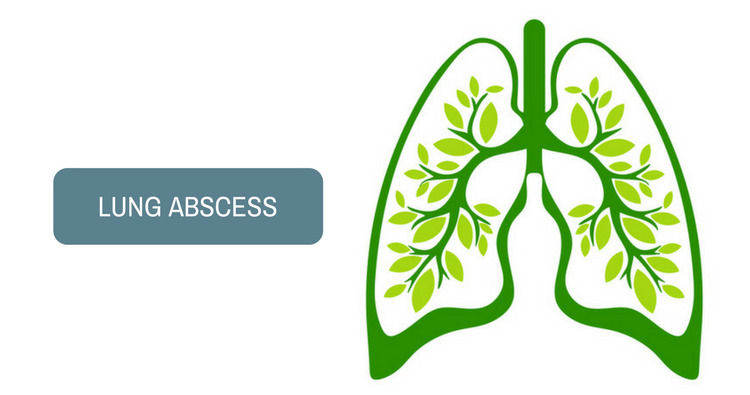 Tuberculosis and fungal infections can also lead to an abscess, if not treated at the right time. Respiratory stenosis occurs by the accumulation of mucus, any tumor, or foreign substance. Septicemia leads to metastatic lung abscess. Bronchiectasis and aspiration of infected materials. Other respiratory problem like Wegener's granulomatosis, silicosis, etc. What drugs can help in healing avascular necrosis? Expectoration of a large amount of purulent and frothy sputum. Rales sound is heard on auscultation. X-ray shows cavity or consolidation. ESR (erythrocyte sedimentation rate) is high. CRP (C-reactive protein) is high. CT (computerized tomography) scan if needed. The infection spreads to other organs, like cerebral abscesses. High protein diet, vitamin supplementation, avoid excess fried and spicy foods. If severe anemia occurs by bleeding in sputum, then blood transfusion or parenteral iron injection might be needed. Oxygen is given if needed. Do culture and accordingly give antibiotics. Mostly, Amoxicillin, Levofloxacin, and Metronidazole like drugs are needed to cover broad range of bacteria. If malignancy is associated, then surgical resection might be necessary. Do you have a question on Fungal Infection or Necrosis? What Exactly Should Be Done When You Feel the Urge to Blow Your Nose? ?